A popular fashion designer in the 70s, Roy Halston Frowick is noted for his innovation in millinery and perfumes. Bringing Studio 54 style fashion back to the fore, his clothes became a popular choice for some of the biggest A-listers during the 1970 and 80s. Taking his legacy forward, Halston Heritage has re-booted his designs by keeping Halston’s love for 70s fashion alive. The brand’s clothing collection includes a variety of dresses, skirts, and gowns in vintage bohemian styles, trendy colors, and retro designs with a modern twist. 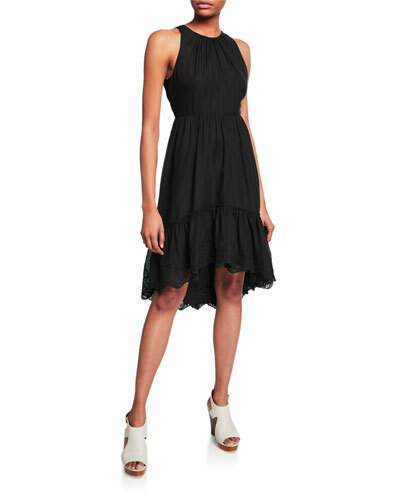 Neiman Marcus offers a wide selection of Halston Heritage dresses, jumpsuits, tops, and more. 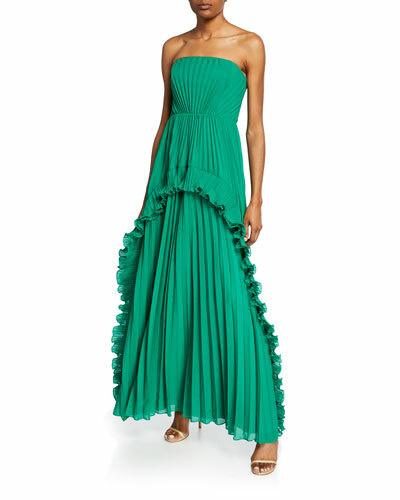 Halston Heritage open-back gown with tipped ruffle detail. Approx. 47"L down center back. Scoop neckline; open back. Sleeveless; ruffled trim. 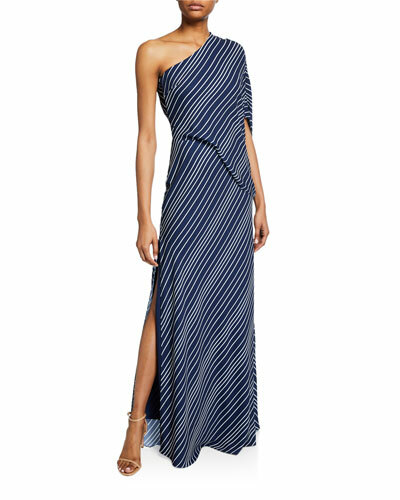 Halston Heritage open-back gown with tipped ruffle detail. Approx. 47"L down center back. Scoop neckline; open back. Sleeveless; ruffled trim. Column silhouette. Lower back zip. Right side slit. Floor-length hem. Polyester self/lining. Dry clean. Imported. Model's measurements: Height 5'10"/177cm, bust 32"/81cm, waist 25"/64cm, hips 35"/89cm, dress size US 2.